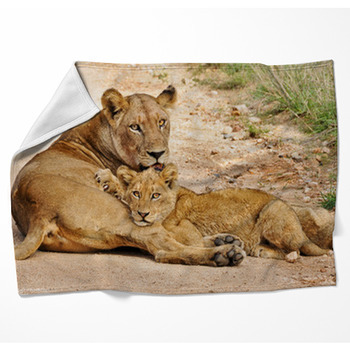 Keep yourself warm and stylish with the king of the jungle all winter long with our amazing lion blankets. From their golden coats to their ferocious ivory fangs, lions have always fascinated humans. 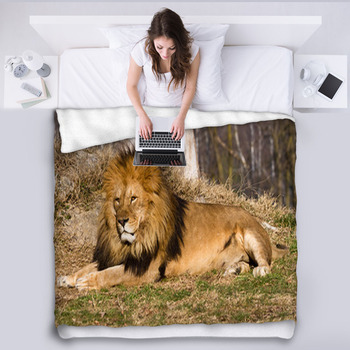 You'll find an incredible selection of lion throw blankets and throw pillows that will fit your personality and your home decor. If your favorite sports team is a lion, you are in the right place! 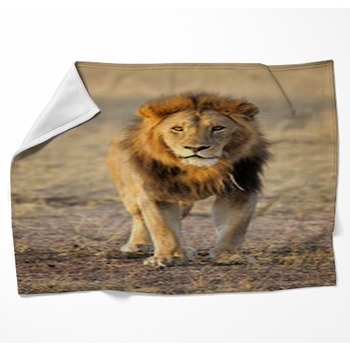 A lion fleece blanket is a must to keep warm during those fall and winter outdoor events. 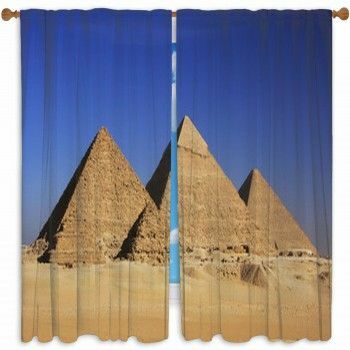 It also keeps you comforter in the bleachers indoors for those daily-long volleyball and basketball tournaments. 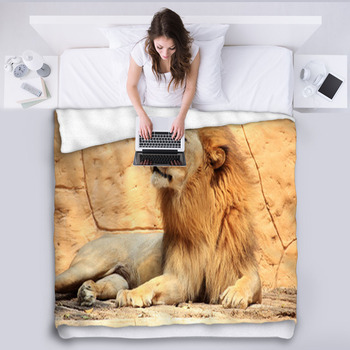 You can even hang your lion throw blanket in your teen athletes bedroom when you aren't using it. 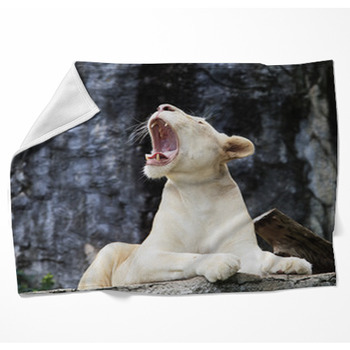 Our lion woven blankets make great coverings for beds, too. Choose a full-maned male or a hunting female. 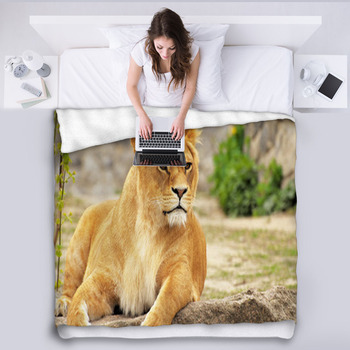 Or decorate your bed with playful lion cubs. The neutral golden coats make accessorizing your new blanket a breeze. 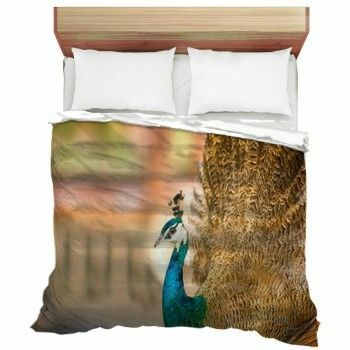 Or add some ever-popular animal print pillows or wall art to complete the look. Our selection also includes some cartoon lions with friendly faces that would be perfect for a child's room, too. You'll find stately lions in groups of jungle animals. 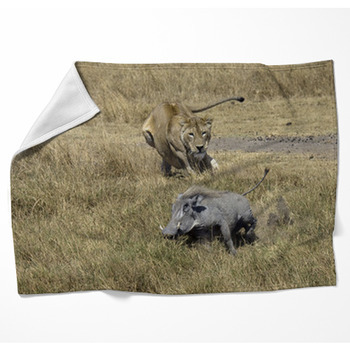 Create a Noah's ark theme with lions and the entire menagerie with one of our fleece blankets. 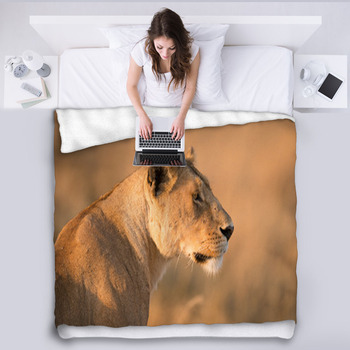 The best thing about our lion blankets is that they are so beautiful that they can do double duty as art and as a warm cover. Drape your lion fleece blanket over the back of your leather sofa. Or drape a lion throw over the arm of a chair.